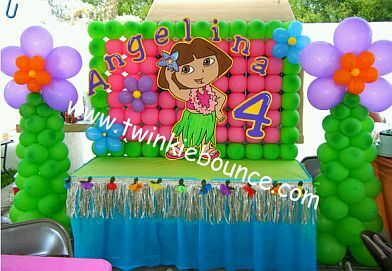 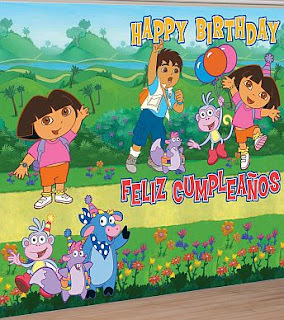 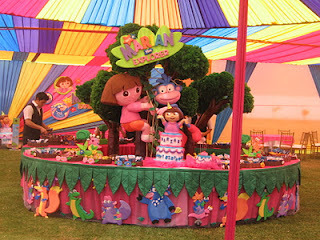 No doubt one of the favorite characters from the smallest of the house is the sweet and adventurous Dora the Explorer, if you have birthday party for your son or daughter, this would be a great decorating theme. 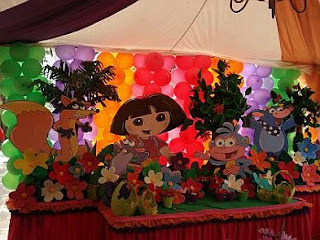 When you choose this cartoon series, you can choose to use only the decoration of Dora, or include all the other characters in the series, including Diego, his cousin. 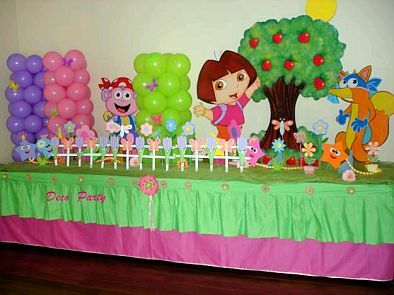 In this first proposal have Dora with all her friends, behind a curtain made front columns of balloons and flowers and shrubs that create the illusion of being in the woods. In this proposal have a poster that covers the back wall with images of Dora and Diego, before an arch of multicolored balloons, balloons finally with both characters can be seen on the sides of the arch. 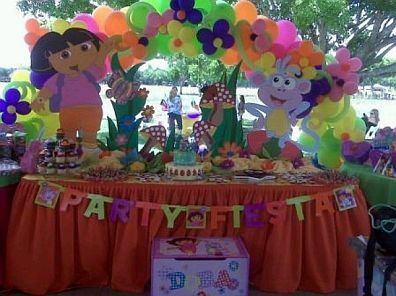 Another nice proposal with an arrangement of balloons in the back and ahead, Dora, Diego and the other characters, flowers and gifts adorn the table. 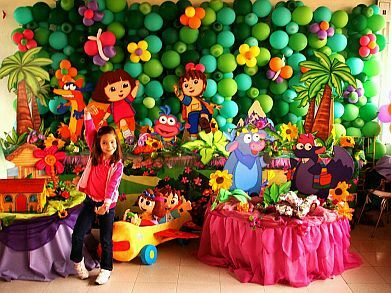 Beautiful decorating idea made based on balloons in the back, they pretend to be a jungle, past the palm trees, houses, flowers and paths are the perfect place to Dora, Diego and their friends. Decorating with balloons, trees, flowers and a fence that are perfect for simulating the garden in which are Dora and her friends. Decoration on the multicolored awnings roofs look beautiful, amidst the main table in the middle has a tree with Dora and other characters in it. 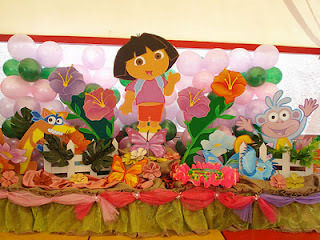 Ideal decoration for a girl, Dora is surrounded by flowers, butterflies and birds. 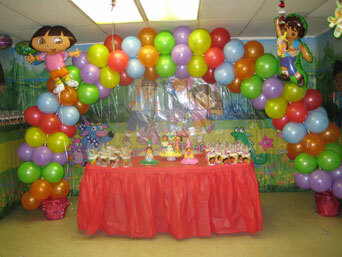 If the celebration will be outdoors, this proposal to decorate the place could be helpful. 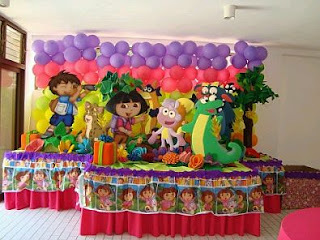 If you prefer to Dora Hawaiian, this is a nice idea, in which his image and some arrangements with balloons, are enough to make everything look great. Finally, using posters or billboards to decorate the rooms of the party, are also very good choice.